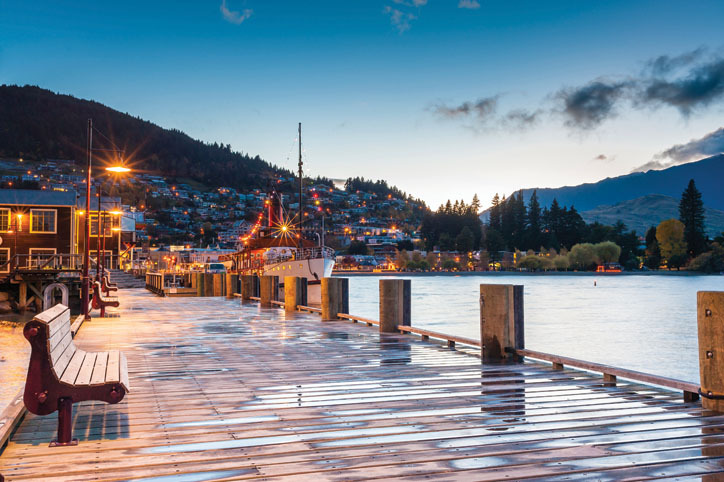 Experience the best of New Zealand's South Island in this 10 day independent coach tour. 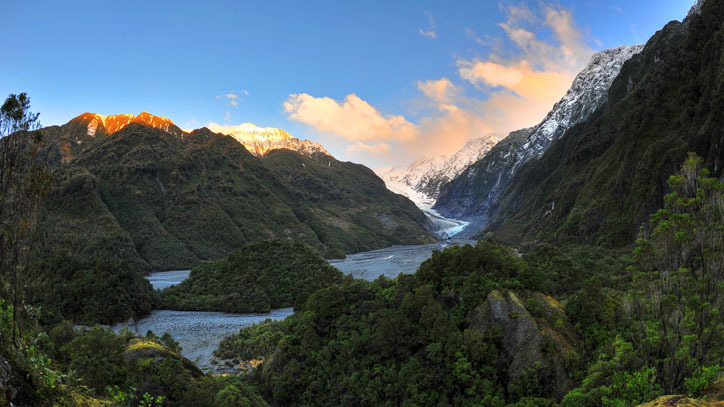 Visit Aoraki Mount Cook, Dunedin and Queenstown, as well as the glacier town of Franz Josef on the West Coast. 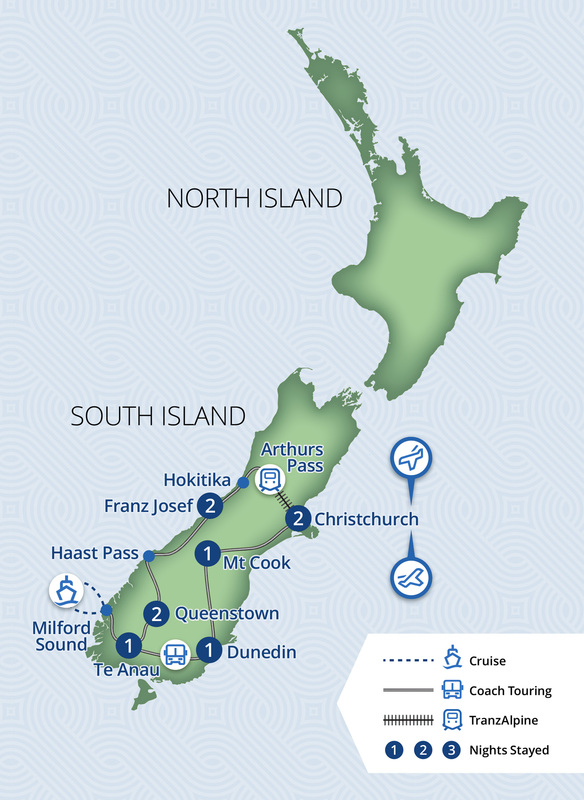 We have also included a cruise on majestic Milford Sound. Haere mai! Welcome to Christchurch, the ‘Garden City’. 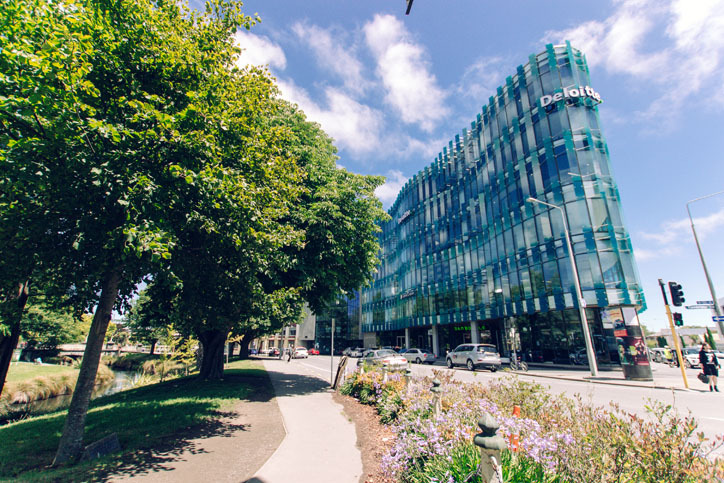 Upon arrival at Christchurch Airport you will be met and transferred to your accommodation. The remainder of the day is at leisure to explore what the city has to offer. Today you depart from Christchurch, travelling across the Canterbury Plains and through diverse farmland to Lake Tekapo, where you can view the Church of the Good Shepherd by the lakeshore. The altar window offers awe-inspiring views of the lake and mountains. Your tour continues along Lake Pukaki before arriving at Aoraki Mount Cook. The morning is at leisure. 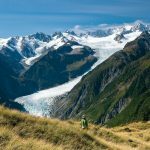 You may like to take an optional Tasman Glacier Explorer excursion. This afternoon travel to Dunedin. 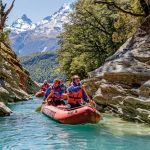 Leaving Aoraki Mount Cook, travel alongside three lakes and see the hydro-electric dams on the Waitaki River. 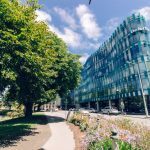 Take a break at Ōamaru for a tour of the Victorian Precinct to view amazing buildings and architecture in the historic district. Stop to view the famous and fascinating Moeraki Boulders before arriving in Dunedin, where you’ll be dropped off at your accommodation. This morning is at leisure to explore Dunedin. 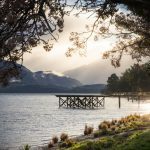 This afternoon, travel by coach across fertile farming land and pass by spectacular mountains to the beautiful shores of Lake Te Anau. 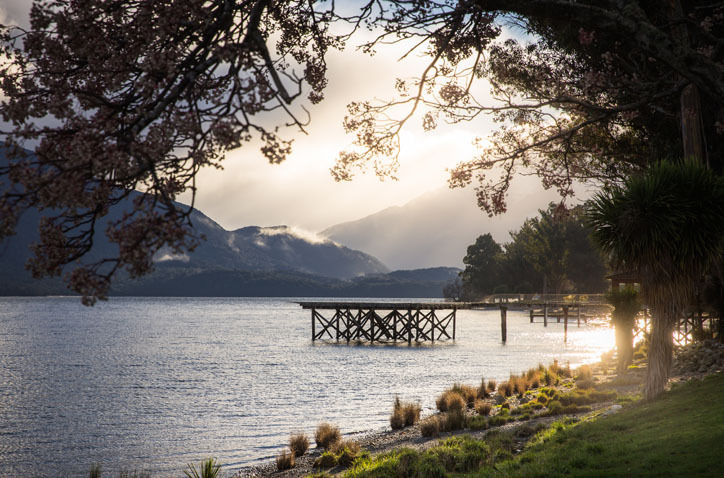 You will arrive into the township of Te Anau, the hub of the Fiordland region, in the late afternoon. 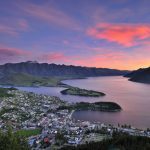 Return to Queenstown on a scenic flight taking in magnificent views of the alps, glaciers, lakes and forests of Fiordland National Park. (Duration 35 mins.) The flight shaves approximately 4 hours off a return by coach. It is, however, very weather dependent, so if the weather doesn’t play ball you will need to return by coach and we will refund the upgrade price. 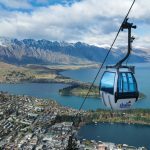 Today is completely at your leisure to enjoy the many sights of this alpine resort situated on the shores of Lake Wakatipu. 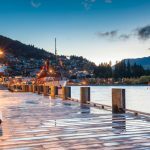 Queenstown offers something for everyone – you can enjoy the quiet beauty and tranquility the mountains and walk one (or some!) of the trails in the town area. 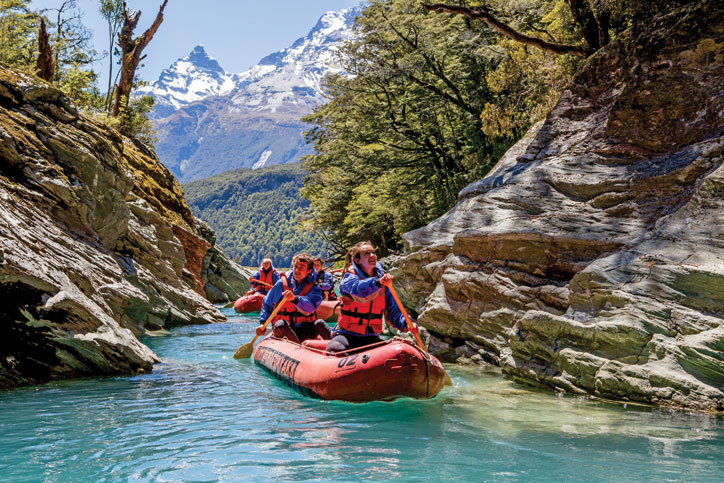 For sheer excitement there is white-water rafting, helicopter rides, the famous jetboats, bungy jumping to pump your adrenalin, and off-road 4WD tours with plenty of river crossings. 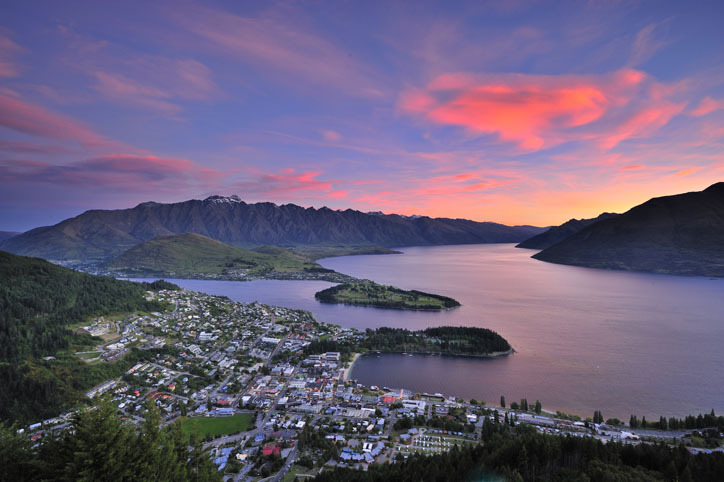 There are cruises on the lake with a visit to a high country sheep station, and wine tasting tours. 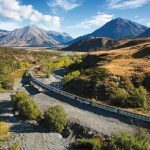 You can visit nearby Arrowtown where the main street has been preserved since the 1860s gold rush days, and try your luck panning for gold in the adjacent Shotover River. Today you have a whole day at leisure. 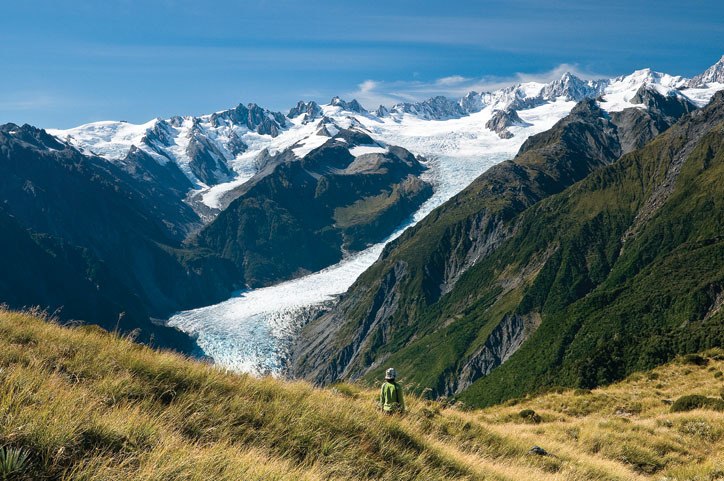 Perhaps enjoy a guided walk, heli-hike, or a scenic flight from the Franz Josef township. If you’d prefer a relaxing day, head to the Glacier Hot Pools that are nestled amongst lush rainforest, or meander through the village where you will find a wonderful selection of gifts, artwork, merchandise and cafes. 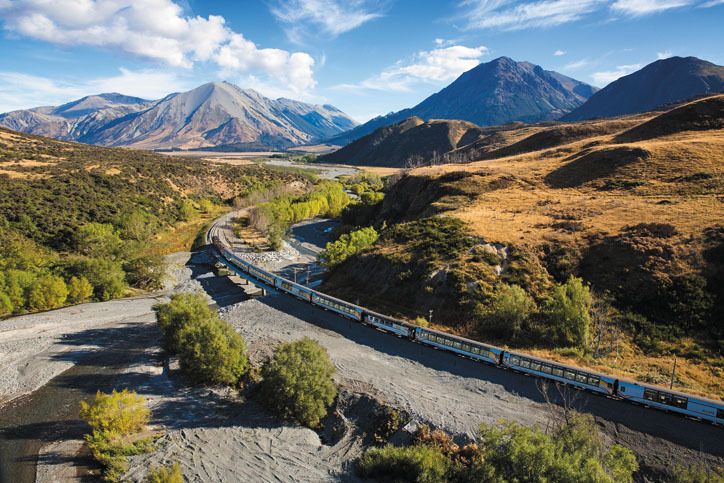 Board your coach and head north through Hokitika and into the small town of Greymouth, where you will stop to stretch your legs before boarding the renowned TranzAlpine train for one of the world’s great scenic train trips. 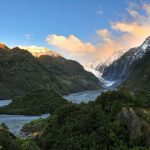 Experience beautiful Lake Brunner, spectacular viaducts, 8.6km in the lengthy Otira Tunnel, ice-fed rivers, and the patchwork farmland of the Canterbury Plains. Arrive in Christchurch at approximately 6:05pm. Sadly your trip has come to an end. 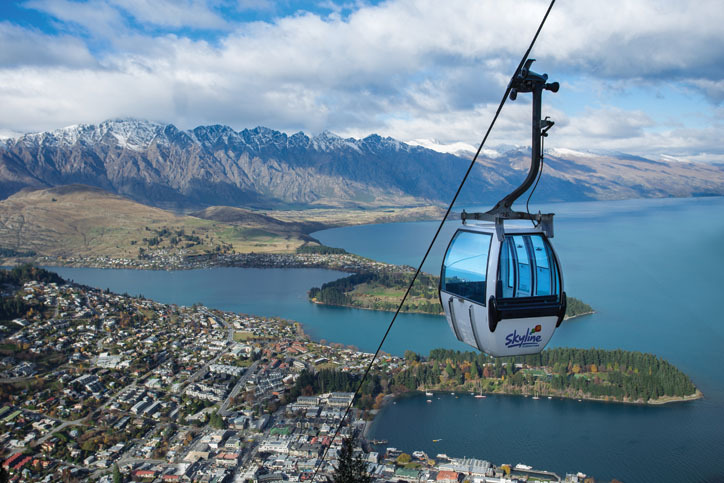 We hope that you have thoroughly enjoyed your experiences in New Zealand. Today you will be met at your accommodation and transferred to the airport for your onward journey. Have a safe trip home. There are 2 reviews of this tour from past clients of Relaxing Journeys, averaging 5 out of 5. We were very impressed with Relaxing Journeys and our tour coordinator Toni. The trip went so smoothly and we were able to enjoy all the sights. Highly recommended! Very satisfied with the service provided by Relaxing Journeys. Email replies were within a day or two and even if the consulting agent is on leave, emails were followed up by other agents. The whole tour went smoothly without a hitch. Coaches came on time, we had no problems checking into our accommodations and optional tours with the vouchers provided. All apartments and motels provided towels and toiletries. They are centrally located and convenient to explore around. The weather was great despite the low season in May. We had many sunny days, saw a few rainbows and a shooting star. Thanks to Mani and his colleagues for arranging this trip for us!